05-10 Scion tC Throttle Body Spacer. Performance Throttle Spacer for Scion tC. 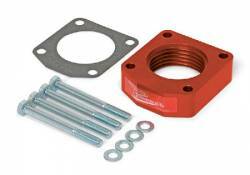 Increase Throttle Response, Power & Fuel Efficiency with a Throttle Body Spacer. Choose from Spacers by PowerAid or Torque Solutions for your 2AZFE Engine.